How do I describe this place that means so much to me? Many of you who come to my classes regularly already know the story. 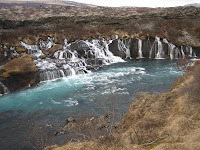 And I'm pretty sure I've blogged about my love for Iceland (and the music that comes from there) before. But for those of you who don't know, in a nutshell...it's that Iceland feels to me like a place I've been to in another life. It is a place that breathes from the ground up. The nature, the stillness, the drama of the weather and landscapes, the pride of the people and culture....I could go on and on. There is an overall wholeness that you feel when graced in the presence of bright moss, deep blue ocean, crisp white clouds, shadows on the mountains, and horses meditating in the fields. And this happens all in one scene or moment. It is a place to connect to your emotions and yourself, and to grow from the inside out, just like the earth. And I was so delighted to realize on my 2nd visit, which was at a different time of year with new colors and weather patterns, that I still felt the same as before. This is why I must bring any of you who would like to join me, over to this land. I have some special things for our week of yoga this coming June in the works. I look forward to sharing it. I can't believe September has gone by and I haven't posted anything! Well, I've now been to Iceland and back and will have more to share on that soon. I promise. In the meantime, autumn has officially arrived, though we're just gradually starting to feel it hear in New England. I've been playing lots of my old Icelandic playlists in class as of late (naturally). But lately I've been playing the new Mum album "Sing Along to Songs You Don't Know" and the new Jonsi & Alex "Riceboy Sleeps." They are both beautiful and lovely to practice to in their own right. I've been meaning to discuss the topic of levels for yoga class for awhile now. This is something all yoga teachers and studios have to deal with at some point, and something I've been pondering for the last few years. Recently some fellow teachers and I have been discussing the questions and difficulties that arise when a class is set at a particular level, but then people at a different level show up to class. And I've had some students pull me aside to ask when I'll be teaching higher difficulty classes. What to do? I've gone 3 years teaching in the same studio at various levels. Most classes are all levels which allow everyone to take it at their own pace, but I do teach a few intermediate. And these should very well be reaching the advanced level since so many of my regulars have been with me awhile. However, I do find that people who aren't practicing regularly, or are new to yoga have been showing up to the higher level classes anyway. So over the summer I started teaching one workshop a month, and they have been geared towards the advanced crowd in order to teach them asanas that they can choose to take deeper in class, despite the level. Unfortunately it's been the summer and many people are away. So, I hope to continue offering these in the coming season. Until then, and in general, however...I have an answer to this dilemma. Yoga is about developing your own rhythm. It's about knowing whether or not to push your edge or pull out. It's about discovering your strengths and weaknesses both mentally and physically. I move in my own practice through cycles. Some weeks I'm exhausted and I do a basic hatha or vinyasa practice. Some days I'm ready for an intense ashtanga series. Other days I need to leave out inversions altogether, and spend most of the time in my hips or in savasana. :) I don't see myself busting out any attitude with people and sending 'em packing just because they showed up to my intermediate class but are more on the beginner side. That's just not me. I want everyone to find their yoga. So I simply try to honor the level and announce at the beginning that it will remain intermediate, but everyone needs to take it at their own pace. I encourage everyone to take their own pace in class (and in life) as a daily mantra. So it's truly up to you. If you want a guaranteed sweaty, advanced asana practice...maybe it's time to take a break from your norm and check out a hot vinyasa or ashtanga studio a few times a week. Everyone needs to grow. All you can do is keep growing and educating yourself on alignment, the poses, the philosophy...whatever will help you find your flow. Then, all you have to do is show up to any class, and be able to judge for yourself where you need to be on your mat that day. Hope that makes sense? I'm open to discussion. Just love yourself, be yourself, and breathe. One class at a time. It's the last day of July. Gratitude? Check. Have relied on it all month and will continue to. Morning of breakfast and catching up with a friend at my neighborhood cafe, biking around for errands and posting my Iceland flyers around town (you know you wanna come with me! ), teaching my noon yoga class, staking up my tomatoes, and now taking in the new Riceboy Sleeps album (again, you know you want to come to Iceland to check out where this music comes from...). There is a summer monsoon-like storm setting in for the late afternoon. Perfect for this music. Seems like a whole lot to be grateful for to me! Haven't been blogging or making playlists as much as of late because I'm still trying to enjoy life and take the summer as it comes. Went to Nantucket with my love to take in the grey lady's mist, do yoga in nature, swim with seals, and reflect on the beauty around us in life. Hope everyone out there is doing the same, no matter where you are! Looking forward to August and a new mantra, a new sound, a new creative energy to enhance that beauty that sets us into who we are and what makes us feel alive. 16. Neko Case: The Next Time You Say "Forever"
It's finally been a full week of summertime sunshine...and this weekend promises some more summer fun in the making! Here in Somerville and Cambridge, MA we know how to do it up right, supporting local business, farms, and artists. So if you're not heading to the cape or a festival this weekend, then there are a few things you should check out! 1) My talented and brilliant best friend, Nazarene Zabel, has finally debuted her own line of organic (mostly locally grown herbs) beauty products, called Flowerfolk! She (an ethnobotanist, reiki practitioning, flame-haired gem) has been working hard to bring you all a fantastic array of creations that she's been selling at local farmers' markets. There are lotions, lip balms, salves, facial steams, scrubs, toners, etc. Plus, she's super knowledgeable about all things botanical...including what teas to drink, how to make cordials, tinctures, and more. So this Saturday, July 18th, you should go chat her up and check out her stuff at the Union Sq. Farmers' Market! Located at the square in front of Precinct and The Independent off of Somerville Ave., it opens at 9am and runs through 1pm. You'll also find a nice selection of local farms providing veggies, cheeses, meats, flowers, breads, and baked goods. If you must miss this, then you have another chance this coming week to check out Naz and Flowerfolk: Tuesday, July 21 at the Harvard Sq. Farmers' Market. This is the one located just outside of Harvard Yard near Memorial Hall. It runs from approx. noon-6pm. My fave Flowerfolk items you ask? *I've been using her stuff for months now and it feels so good to know exactly what I'm putting on my body and it feels even better! You'll find stuff ranging from $4-30. If you have been practicing regularly and feel like finding your edge and strength in your asanas, then come join me! We'll work on our legs, arms, and abs. Binding in warriors, chaturangas, crow and other arm balances...working with the heat instead of against it. ;) I've broken up these more intense poses in sequences that will help you have fun with them and get nice and warm. Plus, there will be time as usual to sit and meditate or journal during your practice. Take your practice a step further than you might normally...in body, mind, emotions, and spirit. Drop-in only, so if you're around, pop in for an intense and awakening yoga afternoon. *So, that's 2 great options for the weekend. There's also the ArtBeat Festival in Davis Sq. all day Saturday (I suggest checking out vintage finds at Artifaktori if you're in Davis Sq. ), loads of great music at Precinct or Toad, and time to work in your gardens and enjoy the sunshine. So, keep smiling and feeling gratitude the rest of July and beyond! The sun came out for 3 days last weekend to bring us summer just in time for my birthday and the holiday weekend, and it couldn't have been a better one. Those 3 days after a month of continuous rain and clouds made it all the more sweet and has encouraged my new mantra for the month of July: Rely on Gratitude. With the most splendid friends, yoga students, family, community, and the awesome ability to get to do what I love as my life's work...there is nothing else to feel this month other than gratitude for being alive. Keep using the mat to confront those old voices, sit with the fear in order to let it resolve, and then let it go. Be patient with the process. I believe in you, and the rest that summer has to offer. Then off to Iceland at the end of it...you game? At the tail end of summer, just before official autumn equinox, come explore this magical place and journey deeper into your yoga practice with me! **We'll fly out on Sept. 12 from Boston and fly back on Sept. 20. *Of course, if you don't live in the Boston area, you don't have to fly out of Boston. This may change the price of trip. Another variation in price may occur if you want to simply stay Sunday-Friday for the yoga and skip the touring of Reykjavik on the weekend after. 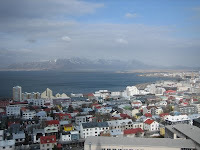 We will work from where you are and your needs to get you to Iceland! Wake up, light breakfast, then yoga. Relax with option of wellness treatment or hot soak. Lunch, then afternoon fun (cave tour, horseback, hike...). Come back for evening yoga, then dinner, more natural hot water soak, and rest. The days will vary and we’ll end the yoga week on Friday, head into Reykjavik for the weekend of touring the city and taking in some sights. Trip will end with hot soak in the Blue Lagoon on our way to the airport and flight back to Boston! I am SO excited to venture back to this land that I love, and be able to share an experience through yoga, art, and nature with some of you out there. Please contact me with any questions or if you're interested! Zee Avi -- she's a wonderful Jack Johnson find from Malaysia, and a ukelele inspiration for me. Check out her album for sure. Slow Club -- they are a group from the U.K. You've heard one tune in commercials I'm sure. Their album "Let's Fall Back in Love" is great. Fanfarlo -- another U.K. (Sigur Ros recommended) band. They are so fun! You can get their album for just $1 online through the weekend. Google them. *Come for yoga fun-filled afternoon to usher in the start of summer! My 2nd Workshop in a series of 4 at Karma Yoga Studio. Cool-down, meditate, journal if you'd like, and long savasana. The Moon will be in Gemini, and it will be a perfect time to reflect on the start of a new, exciting season cycle upon us. You can bring your intentions and dreams to the mat and breathe life into them. All Levels are welcome. Just dress comfy and bring an open heart. This playlist for recent classes is made up mostly of a Sigur Ros recommended band out of the U.K. Add in some new Tori, and PB&J and you're set for some fun on the mat. The Gemini Full Moon in Sagittarius on Sunday was all about listening to ourselves and our thoughtful desires so that our own wisdom will lead us to the truth. It was about making time to listen again. Funny, then, that my June mantra is all about just that...tuning in! This was complete coincidence. Cool. ;) With that idea of finding your inner rhythm, there's no better way than music of course. I'm a little bit music obsessed, yes. And music is a large part of the yoga experience you will get when you come take a class with me (most times). Why? There are many reasons. In the latest June issue of Yoga Journal magazine, there is an entire article talking of just this. It's titled "Let the Music Move You." I enjoyed this article because it allows for both points of view and gives some nice insight about music and yoga. I've had both sides of the coin brought up to me about music being played in my class. What it comes down to is the individual choices of each teacher, and I've found my voice and creative expression through music. Michael Franti of Spearhead says in the YJ article, "Music can enhance your practice or take you away from examining yourself. Which is why we practice. Music, at its best, helps us go deeper within ourselves....combining yoga with music can really open the doors to our hearts, which allows us to release more freely." Love that. You may not always connect to the music played in a class. And my classes usually embrace some strange stuff at times. ;) I only hope that the tunes will help you all open yourselves and tune in to your mats in whichever way that may be for you. Check out my old and new playlists to practice to at home, or get creative and make ones that speak to you! Can't believe we're already into June! Spring is coming to an end and official start to summer is upon us. It marks such a busy time of year, as I was discussing last month...with all the graduation celebrations, birth of babies, weddings, birthdays, father's day, farmer's markets, and planning vacation time. I like this new idea of setting a mantra each month, especially to go along with your yoga practice. So this month I've decided to make my mantra simple again: Tune in. What does tuning in mean to me? Oh, so many things. Mainly it's the idea of listening to yourself. As I mention in pretty much every class I teach (sorry if you're sick of hearing it, but it's true...), being aware of yourself and mindful of your breath/movements can be one of the most important things to keep you happy and healthy. Not just noticing how you feel physically, but also where you're at emotionally and mentally. Body/mind/spirit go hand in hand. Both on and off the mat. It's so easy for us to forget when we're going about our days to notice our reactions to people, situations, the food we eat, our thoughts, etc. We rush, rush around in our busy schedules and often forget to just notice our breath and be aware (Tune in) to what's going on inside us and around us. I know I'm guilty of it. There is hope, however! All we have to do is remember the mantra to tune in this month and maybe we'll start to notice ourselves more. It can be part of our yoga practice, as usual. And the exciting way to start this? Fresh, organic, local foods! Yes, this first weekend in June marks the start to our local farmer's markets here in Somerville/Cambridge. There is no better way to start to tune in than by creating nourishing meals full of local, fresh nutrients that will recharge you and help you find your body rhythm. Some friends of mine have started a beautiful CSA farm in Wrentham, MA (near Patriots Stadium on the way to Providence), called White Barn Farm. They are having their first roadside stand this coming Saturday morning, June 6th. I was just there a couple weekend's ago (check out the pics) and it inspired me so much to see these beautiful-spirited people putting their hearts into their land and providing other's with love by cultivating fresh/organic crops. I'm looking into putting together a yoga/farm picnic day trip, so stay tuned! Anyway, if you're not coming to class this Saturday morning and find yourself looking for a fun little journey to gather some nice veggies or plants for your garden for the weekend, then head on down. It is a most gorgeous spring Friday here in New England. A lovely day for a New Moon. And it's the new moon in Taurus at that. Time to reconnect to our Mother that gives us life and energy. We celebrated Earth Day this week and saw the country in talks to actually start doing things about our environmental issues. But, as I mentioned in my classes this week...the more you come to your mats or your meditations, the more aware you'll become. Aware of yourself and your needs. Aware of your surroundings. Aware of what you put in and on your body. Aware of what you put in your mind and how you use it to treat others. I know you heard it all week, but Earth Day truly IS every day. And now is the time to be inspired and to set forth in your journey of what that means to you. With that, it's been a somewhat long, tiring week here in Boston. Starting with Patriots' Day Monday...we saw so many come to bust their booties on the challenging course (props to Jess, Andreas, and Antonio!). Then it rained, rained all through the middle of the week. My computer completely shut down (as I write this from someone else's). People came to class dealing with family sickness, break-ups, work exhaustion, finals overload. And then this morning I discovered my flat bike tire, making me then have to book it the half hour walk to teach my class (and I just barely made it in time)! But ya know what? Class was fantastic. Full of faces new and old that I was so grateful for. Great energy and peacefulness. And among all the little things from the week that maybe went a way other than expected, I realize today that there were more positive than not. And to think this time last year I was arriving in Iceland for the first time! What a magical journey that was for my best friend and I. This weekend we'll be celebrating her birthday once again, with the magic of Iceland in our thoughts but the friends and life of Boston at our fingertips. Those of you wanting to experience Iceland in a yogic, adventurous, and spirit-filled way...well hang on for another week or so and I'll be posting all the details about my upcoming retreat there in September! Til then, do like the Buddha...tilt your head to the sky and laugh at the joy of life. Time to liberate yourself from what you think others expect from you or what you think you need to be like. This is a great time to find a loving attitude toward yourself and to trust that you know who you are and what your destiny is. Plus, it's the best full moon of the year to take in all the pleasures of life. To find sweetness in your days, to form a fresh attitude, and to be vibrant! If you're in need of inspiration...check out my amazing friend, Meghan's story. She is such an inspiration and she is proof of someone who trusts in herself and her destiny. I follow her blog (she's a holistic nutritionist and it's always full of helpful info and recipes).